Fans are worried one of their favorite shows might be coming to an end, and we couldn’t be more heartbroken over the rumor. Peyton Elizabeth Lee just posted the sweetest tribute to her Andi Mack castmates, and it’s got fans thinking that this might be the end of our favorite Disney Channel show. The actress took a moment to reflect on the years she’s spent playing Andi and you might want to grab some tissues. 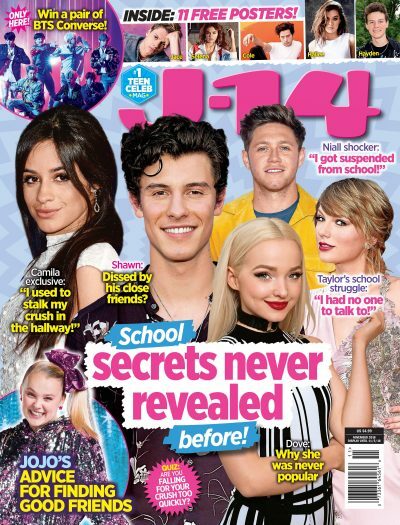 As J-14 readers know, the show, which first premiered on April 7, 2017, just started it’s third season on Oct. 8, 2018. And although there’s no word on whether it will be renewed for a fourth season, the actress’ touching message has us all worried that this might be the last season. Besides Peyton, the series stars Emily Skinner, Joshua Rush, Sofia Wylie, Asher Angel, Lilan Bowden, Lauren Tom, and Trent Garrett, and it’s truly one of our favorites. my family💟💟💕💕🕺🏻just ‪finished filming andi mack season 3. this cast and crew will forever be the most beautiful people i know. this show is so special to me i can’t even explain. so incredibly thankful! Trent gave us all the feels too when he posted a pic of himself hugging Peyton and Lilan, looking pretty sad. “#Fam,” he wrote alongside the sweet photo. If this is the end of Andi Mack, it’ll definitely be the end of an era.